At the Easter Air Races, the press interviews Colonel Steve Trevor and Wonder Woman. They ask the couple when they will be married, Steve tells them he’s ready whenever Wonder Woman finishes her crusade to fight evil. When Steve enters the race to see who can fly around a number of pylons the fastest, disaster seems imminent when a lightning strike causes one of the pylons to catch fire. 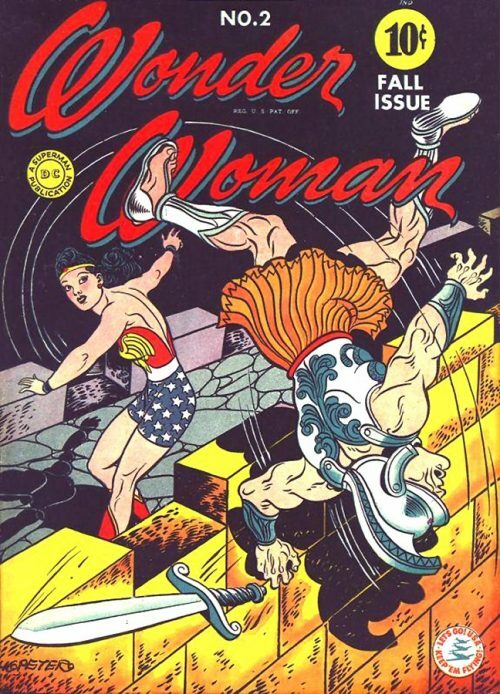 Realising Steve isn’t trying to avoid disaster, Wonder Woman uses her super-strength to shake out the flames, although she doesn’t entirely succeed Steve still avoids disaster and wins the race. When meeting with the press again, Wonder Woman points out that Steve Trevor is still a capable pilot and doesn’t need her constant help. Steve decides to refute this and offers her a challenge: If she has to save him three times in one day she has to promise to marry him. She agrees and that’s when Steve drops quite the bomb shell on her: That he is going to spend the next day testing a number of experimental planes and that he’ll probably need her to rescue him at least 30 times. Wonder Woman is furious that Steve omitted this information before she accepted the challenge but agrees to carry on anyway. However the wind is taken out of Steve’s sails when General Darnell tells Steve that he’s been on too many flights and he is going to have to sit the next day out. However, disaster still seems to follow Steve Trevor wherever he goes. While out enjoying the sun he is almost crushed by an incoming rocket, prompting Wonder Woman to doff her civilian guise and save him. Realising what’s happened, Steve warns her that she only has to save him two more times for her to be bound to her word to marry him. While they are on a date at the local dance hall, a bunch of crooks show up to rob the place. When Steve tries to stop them they shoot at him, forcing Wonder Woman to toss her tiara to deflect the bullets and disarm the crooks. 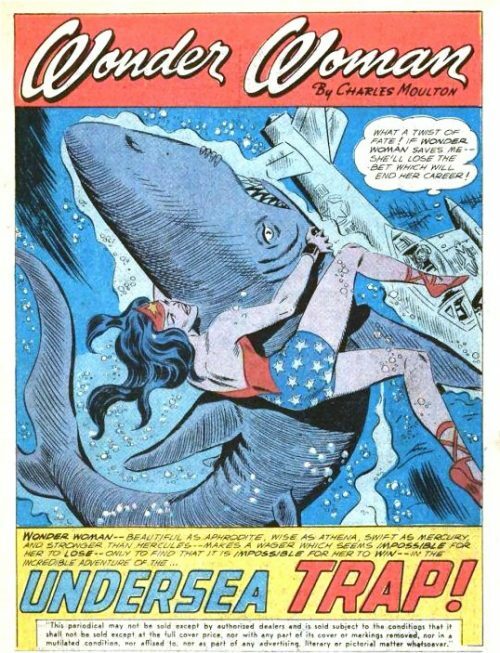 Later when the clock tolls 5 pm, Steve tells Wonder Woman there is only a single hour left in the day. Sure enough, almost an hour later, Steve is testing a plane which suddenly loses control and crashes into the ocean. 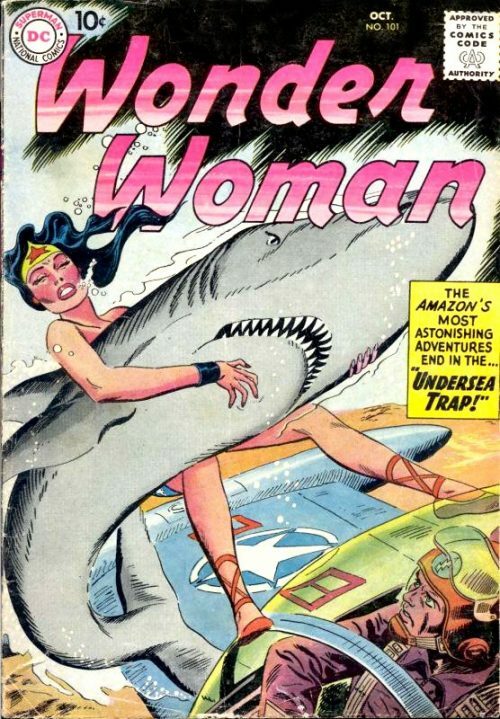 Wonder Woman goes to his rescue, fighting off an attacking shark and bringing Steve to shore, when he tries to get her to honour their bet, his hopes at marriage are deflated when he hears a nearby clock tower toll it’s bells signifying that it is 6:15, and Wonder Woman narrowly avoided being forced to marry Steve by fifteen whole minutes. 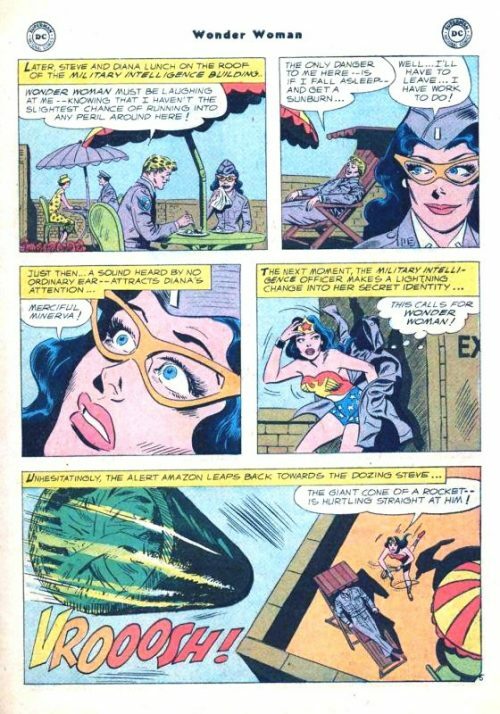 Steve Trevor calls Wonder Woman to meet up for their next date, completely oblivious to the fact that she is already in the office in her secret identity of Diana Prince. The two meet up and head to Frolic Park, a nearby amusement park that is about to unveil a new fun house attraction that very day, to which they have been invited to be the first to ride the attraction. 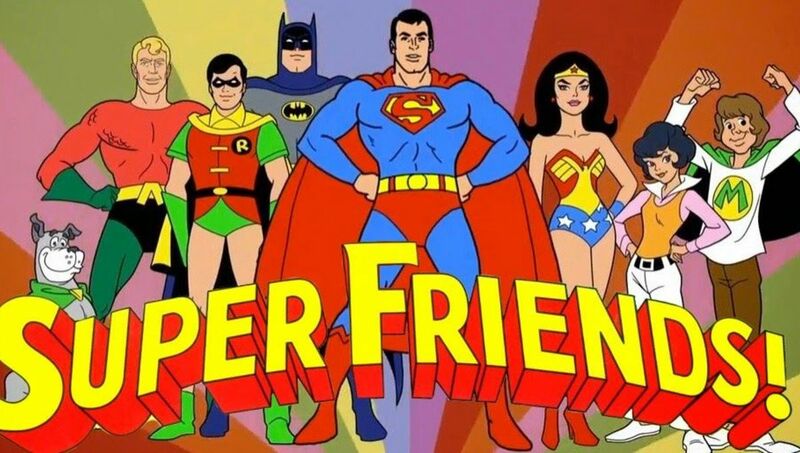 At Frolic Park, Wonder Woman and Steve are introduced to the fun house owner Ty M. Master who invites them to enter the fun house, which he boasts will allow them to travel through time. 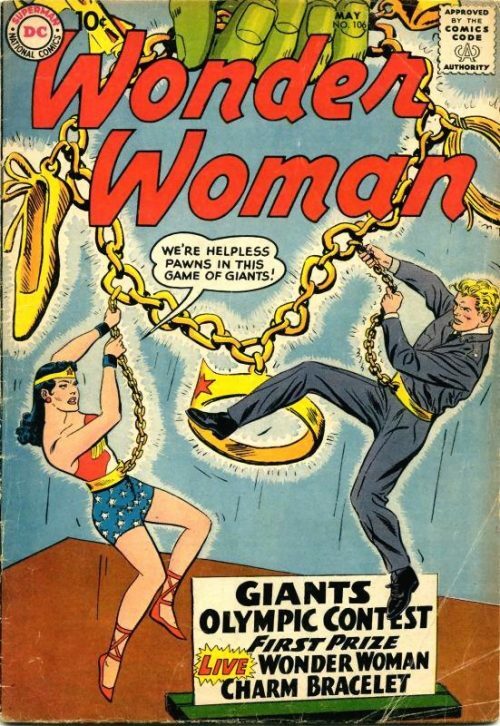 Assuming that it’s all in good fun, Steve and Wonder Woman enter the fun house. Inside they find themselves in a room full of mirror faced doors. Entering one of the doors they are shocked to find themselves transported to pre-history and are surrounded by dinosaurs. They are grabbed by a pterodactyl who carries them off. When Steve tries to shoot the creature he is shocked to find his pistol doesn’t work. Wonder Woman saves the day when she spots a meteor heading toward the Earth. Roping it with her lasso, she uses it to pull themselves free from the creature and they land to safety. While they are wondering what to do next they find themselves transported back to the room with the mirror faced doors. An image of Ty M. Master appears before them. 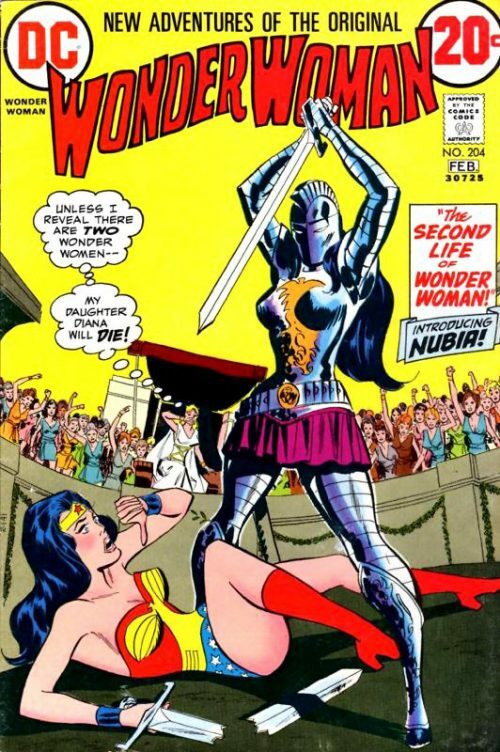 He reveals himself to be the Time Master, and tells the two lovers that he has watched Wonder Woman from the Time Dimension and that he wanted to see if she can face any challenge he throws at her. He tells them that each room will transport them to a different time and they will be sent back if they manage to avoid whatever peril waits for them there. Their only way out will be correctly guessing which door the Time Master is hiding behind. When Wonder Woman tries to grab the spectre before them, the Time Master boasts that he is a second out of sync with them and cannot be stopped unless they guess the right door. The first door transports them to the Atlantic Ocean during the 13th Century. Caught in a whirl pool, Wonder Woman and Steve also notice that the Santa Maria — the ship fated to bring Christopher Columbus to America — is also at risk of being sucked down the whirl pool as well. Wonder Woman uses her strength and her magic lasso to pull the Santa Maria back safely on it’s course, sending them back to the room again. When it comes time to choose another door, Wonder Woman convinces Steve to stay behind. Which turns out to be a wise choice as Wonder Woman finds herself transported on top of an invading alien flying saucer attacking New York City. 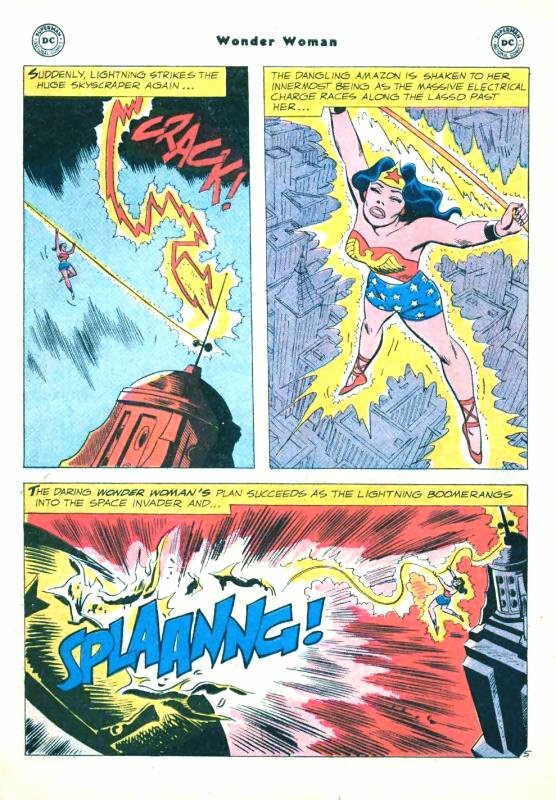 Wonder Woman manages to stop the invasion by tying her lasso to the radio tower of the Empire State Building and allowing lightning to strike it, causing the energy to run through to the alien ship causing it to explode and sending her back to her own time once more. 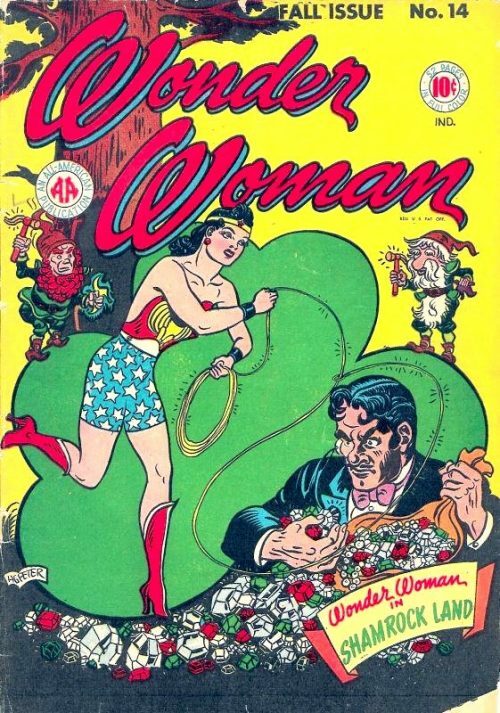 Realising that this guessing process it too time consuming, Wonder Woman instead decides to use her super-human abilities to work for her: Vibrating at super-speed, Wonder Woman passes through each door without having to open them, thus preventing her from being transported to other eras until she can find the right one containing the Time Master. 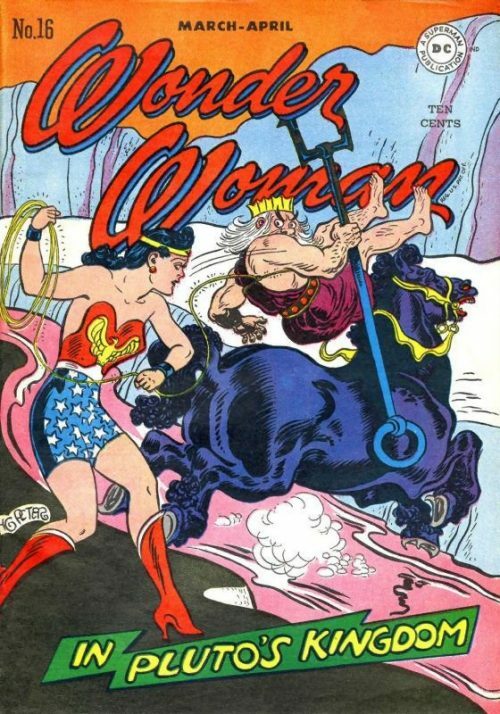 This plan is a success and Wonder Woman pulls the Time Master out of the correct door. 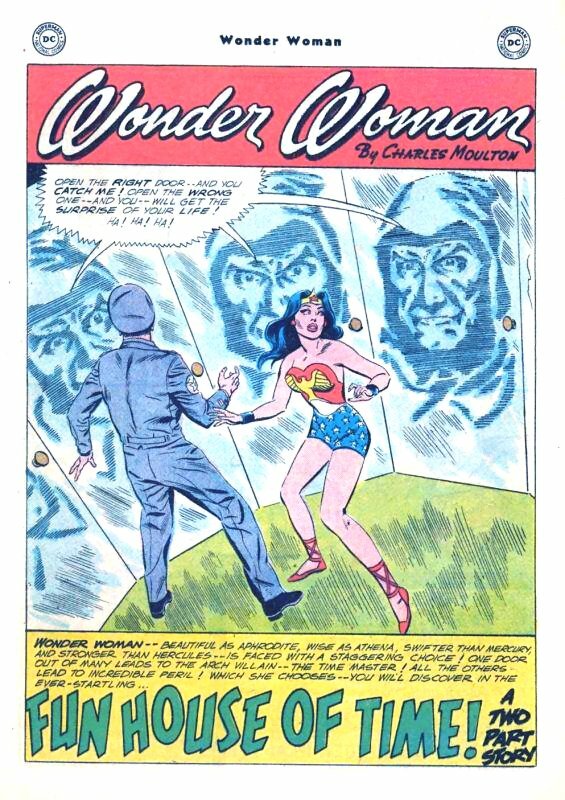 With his plot foiled, the Time Master teleports away and Wonder Woman and Steve flee the fun house as it begins to collapse. However, upon getting out safely they are surprised to find that the rubble of the fun house has disappeared just like it’s creator.